With the rack in the middle position, preheat the oven to 180 °C (350 °F). Line two 20-cm (8-inch) springform pans with parchment paper. Butter thoroughly and set aside. In another bowl, combine the chocolate and cocoa powder. Add the boiling water and let stand for 1 minute, without stirring. With a whisk, stir until smooth. Stir in the oil. In another bowl, beat together the eggs, sugar, and brown sugar with an electric mixer until light and fluffy. At low speed, add the dry ingredients alternately with the chocolate mixture and sour cream. Pour into the prepared pans. Bake for about 55 minutes or until a toothpick inserted in the centre of the cake comes out clean. Let cool. Unmould and cool on wire rack. In a small saucepan or in the microwave oven, bring the cream to a boil. Pour over the chocolate. Let stand for 1 minute, without stirring. With a whisk, stir until smooth. Add the butter and syrup and stir until the butter has melted. Let cool until the ganache is spreadable, about 3 hours, or refrigerate for about 1 hour. If necessary, melt for a few seconds in the microwave. Cut and remove the crown of each cake. Cut the cakes in half horizontally to have four layers. 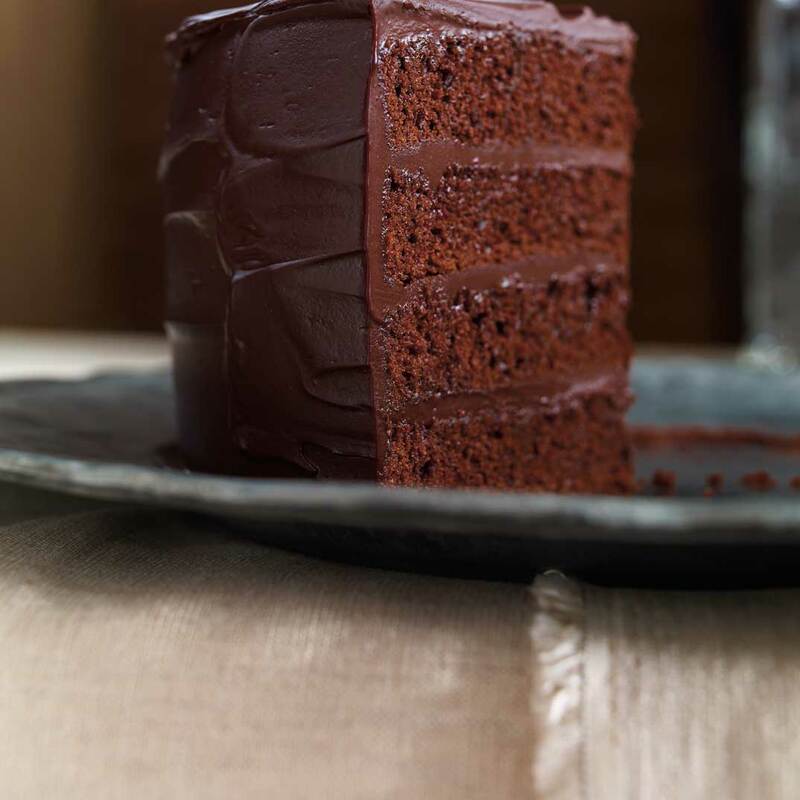 Cover each of the cake slices with a third of the ganache and stack. Frost the sides of the cake with the remaining ganache. 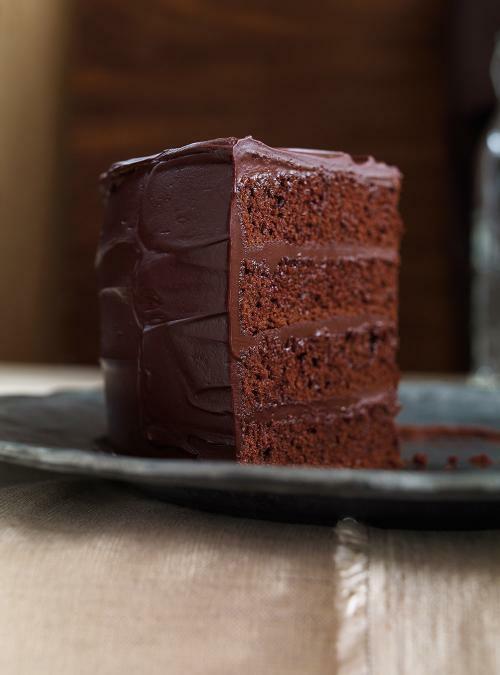 The best chocolate cake ever.